The Chevy Corvette is arguably the most iconic sports car in America. Appearing in Hollywood films, commercials, and as a status icon in our country, there is nothing more thrilling than sitting behind the wheel of a Chevrolet Corvette. Here at Cherner Brothers Auto Sales, we are proud to be in a position to offer used Chevy Corvette models from one of the most popular generations in the history of the sports car. The Chevrolet Corvette C6 was produced new by the bowtie brand from 2005-2013, and represents a time in the sports car’s history that was explosive in terms of in-vehicle amenities and power. With four limited edition models released for the Corvette’s sixth generation, and four model variants available in regular production, used car shoppers are able to take advantage of this exceptional time in the Corvette’s history. Explore this time in Corvette’s history, and discover why a C6 Corvette is the perfect car for your next used vehicle purchase. The very last Corvette produced under the C6 generation was a white 427 convertible, which rolled off the assembly line on February 28, 2013. While the end of the C6 generation was memorable, the beginning was even better. The start of the sixth generation meant that the iconic sports car received a complete makeover, starting from the ground up. A new suspension, increased passenger space, and new bodywork, were just the tip of the iceberg for the all new Chevy Corvette in 2005. The Chevy Corvette C6 was the first model of the sports car to feature exposed headlamps since the 1962 model offering, making it even more appealing for fans who enjoy a good throwback every now and then. The overall body of the newly redesigned Corvette C6 in 2005 featured a larger interior passenger compartment, but was 5.1 inches shorter than the outgoing model. With an increased wheelbase of just over 1-inch, and a narrower stance, the C6 Corvette was a true force on the road. Brand new model variants like the Z06 added an even higher level of aesthetic appeal, and included a unique front fascia with an intake inlet, a wider carbon fiber front, fiberglass rear fenders, and exposed front and rear brake ducts for a more productive brake cooling system. 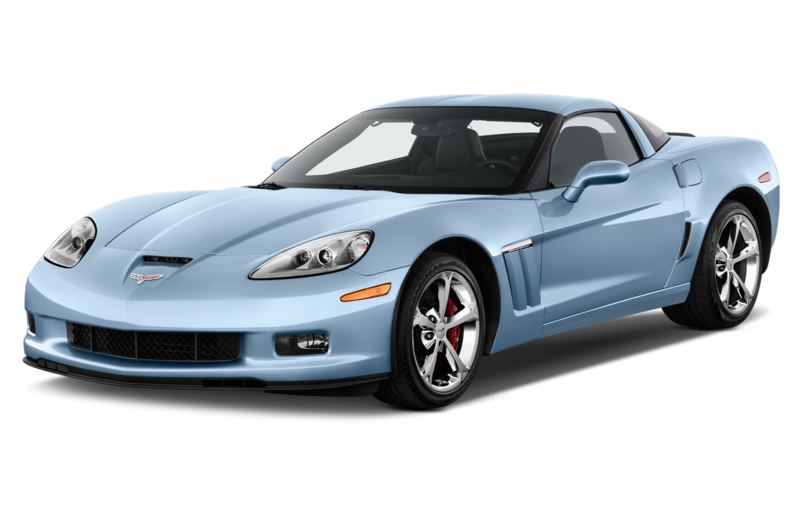 In 2007, Chevrolet introduced another impressive Corvette model, known as the ZR1. With a carbon fiber roof, fenders, hood front splitter, and rocker moldings, every inch of this special edition Corvette was designed for ultimate performance. One of the last C6 Corvette to be introduced to the market was the Grand Sport variant in 2010. Aside from impressive performance specs that we will discuss later, the Grand Sport Corvette featured an aggressive exterior styling that was impossible to ignore. With a larger Z06 rear spoiler, 18-inch front and 19-inch rear wheels, wide front and rear fenders, and Grand Sport badging – the 2010 Grand Sport Corvette is still one of the most sought-after used versions of the sportscar on the market. In 2012, Chevrolet incorporated a new seat and steering wheel design, meant to enhance comfort as well as performance while behind the wheel. The 2006 Corvette Z06 represented a commitment by Chevrolet to enhance Corvette’s performance through technology and the use of lightweight materials. That same model year ‘Vette utilized an aluminum chassis structure that replaced the standard steel structure used in past generations of the sports car. The change in technology and materials during construction made way for a total curb weight of just under 3,200 pounds, giving the C6 Corvette a weight to power ratio that even high-end premium sports cars could not deliver. Even though the new chassis looked similar with the naked eye, the fact that the newest edition of the Corvette weighed in at ⅓ less than the C5 remained the same. The change in materials on the C6 Corvette also made way for new manufacturing procedures that incorporated laser welding and self-piercing rivets. Magnesium was also used for the first time during manufacturing, and helped attach suspension points for a greater mass reduction. The entire C6 generation of Corvette set the stage for the C7 generation that would follow. Thanks to the change in the manufacturing process and the use of lighter weight materials, the sixth generation of the Chevy Corvette is one of the highest regarded in the car’s rich and iconic history. The 2006 C6 Corvette was the first one in the sixth generation to notice major performance and power enhancements. With an aluminum frame and carbon-fiber appointments, the 2006 Corvette was able to get up and go more quickly than ever before. Of course, the new 7.0-liter small block engine certainly helped the sportscar along. Boasting an impressive 505 horsepower rating, and 470 lb.-ft. of torque, the new 2006 Corvette Z06 featured a six-speed automatic transmission with paddle-shifters for the first time ever. The 2008 model of the Corvette C6 gained a new engine option, known as the LS3. This 6.2-liter engine delivers 430-horsepower, and 424 lb.-ft. of torque, and is still impressing drivers to this very day. This model year of the C6 also received a new manual transmission, replacing the more outdated one from years past. In 2009, Chevy brought the new Corvette ZR1 to life, with a top speed of over 200 miles per hour, and a 6.2-liter LS9 V8 engine under the hood. For 2010, Chevrolet released the Grand Sport edition of the Corvette C6, unveiling it at the nameplate’s Annual Birthday Bash at the National Corvette Museum. This performance enhanced model included powerfully capable upgrades, allowing it to perform better on the track than ever before. With stiffer springs, revised shocks, a transmission cooler, Z06 brakes, and more – the 2010 Corvette Grand Sport is still the perfect car for racing fans who want their passion to be mirrored in the car that they drive. With the addition of the Grand Sport Corvette model, there were a total of seven available model options to choose from, more than Chevy has ever offered in previous years. To round out the Corvette’s sixth generation, Chevrolet released a special edition 60th Anniversary Edition of their iconic sportscar. Sold for one year only, the 427 convertible Corvette was capable of sprinting to sixty miles per hour in just 3.9 seconds. It’s no wonder why the C6 Corvette lineup is regarded as one of the more capable generations that the performance-enhanced sportscar has seen. Whether you are on the market for a performance-enhanced used Chevy Corvette Grand Sport from 2010, or a used Chevy Corvette C6 convertible, the team at Cherner Brothers Auto Sales wants to help you find the car of your dreams. We understand that when you have your heart set on owning your dream car, settling for any other vehicle is simply not an option. Our team will work hard to locate the exact used Chevy Corvette C6 you have your heart set on, and bring it to our used car dealership for you to take for a test drive. In our opinion, a used Chevy Corvette from the sports car’s sixth generation is one of the best pre-owned car purchases a driver can make. Even if you aren’t sure whether a sports car is for you, we encourage you to come down and take one for a test drive, anyway. Everyone should at least have the chance to sit behind the wheel of an iconic Chevy Corvette, and with Cherner Brothers Auto Sales, you can exercise that right when it works best for your busy schedule. Cherner Brothers Auto Sales is different from other local used car lots in the area, and that difference is crystal clear from the moment you walk through our doors. Family owned and operated for more than 45 years, when you buy a used car at our Kenginston, MD dealership, you won’t just become our customer, but we will consider you a part of our family. Every vehicle sold at Cherner Brothers Auto Sales comes backed by a comprehensive warranty, so that you can buy your used Chevy Corvette with confidence knowing that your purchase is secured. Our small size also allows us to offer guaranteed financing approval for all of our customers, regardless of your past financial history and current credit score. We want to provide everyone in the tri-state area with the ability to drive home in their very own car, truck, or SUV – period. 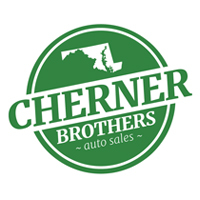 Conveniently located at 10566 Metropolitan Avenue right here in Kensington, Cherner Brothers Auto Sales is open Monday through Friday from 9AM until 6PM, and Saturday from 9AM until 4PM. We provide flexible hours to customers who need it, so don’t hesitate to give us a call or send us an e-mail if you have specific questions regarding a vehicle we have in stock, or one that you are hoping to buy in the future. Our team is fully committed to helping you purchase the car you want, at the price you need. We hope that you give us the opportunity to serve you in the near future. 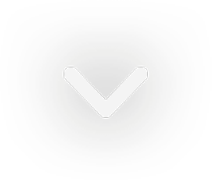 Cherner Brothers Auto Sales	39.0289667, -77.0743215.